Want to run away from the scorching summer of your city this year? Grab the opportunity and escape to the paradise on earth. Yes, Hunza is called the paradise on earth for some convincing reasons, and in this post we’re going to slice and dice why Hunza is worth a visit this summer. Without further ado, let’s go straight to the point. Yes peace! You will literally feel safer in Hunza. Get freedom from the violence ridden and constantly disturbing metropolis of Pakistan to spend a few days in the tranquility of the Hunza Valley. The people are non-violent and tolerant and they’d go the extra mile to make you feel safe. Inter-sect and inter-faith harmony is at its best in the Hunza Valley where shared cultural values are more important than sects and religions. The pooled values and civic engagements bond the people together. In simple terms, Hunza is the epitome of humanism and social cohesion, far away from the extremism, terrorism and radicalizations we find in the plains of Pakistan. Music, traditional dances and folk songs have created creative spaces for the people. Any conflict is prevented through community intervention, which is why the crime rate is relatively very low in the Hunza Valley. The people of Hunza valley have a rich culture, and they uphold themselves to and demonstrate the highest degree of pluralism. They have respect for every kind of diversity, which they use to strengthen the society and create opportunities. The people of Hunza speak three different, local languages, but don’t worry; they’re very fluent in English and Urdu too. People of Hunza are courteous, friendly, cheerful and helpful. The good news is that they practice gender equity; you’d see women running shops along with men in addition to working as carpenters, masons, teachers, managers, entrepreneurs and what not. 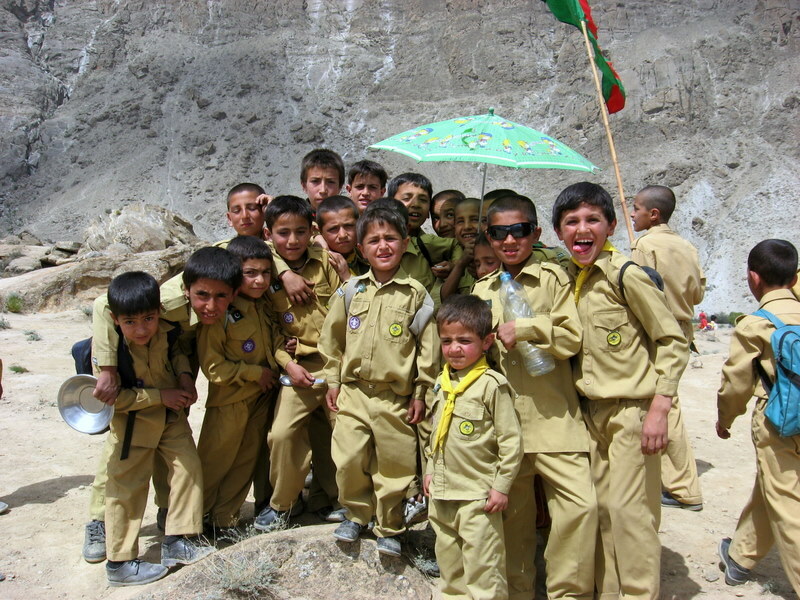 Even better, Hunza boasts one of the highest literacy rates in Pakistan. The women of Hunza are known for climbing mountains, getting distinctions from the world’s top universities and setting examples in almost any profession. And the people of Hunza have perfectly preserved their heritage sites. Their rich culture is clearly visible in their attitude, values, beliefs, music, dance, dress, objects, buildings and cuisines. The Hunza Valley is famous for its mountains – snow capped and rugged. Even though Rakaposhi is situated in the neighboring Nagar Valley, most people come to Hunza just to get a few glimpses of the shining ice wall of the Rakaposhi Mountain. You can see the peak towering in front of you from Karimabad, Hunza. Other popular mountains in Hunza include Passu Peak, Ultar Peak, Kuksel Sar, Shisper Peak, Gulmit Tower and Destghel Sir. Many of these mountains wear snow veils for most of the year. Hunza is also known as the land of festivals. If you want to savor the rich culture of Hunza, you should attend one of the annual cultural festivals during the summer season. If you are lucky enough, you may catch up with one of the following popular festival of the Hunza Valley. Most of these festivals are held every year. Accommodation and dining facilities are important when it comes to spending your holidays, and the good news is that you’ll find a large number of hotels in Hunza. Though most of the hotels offer basic facilities, there are a few that offer luxury services. In Central Hunza, you can find reasonably priced hotels in Karimabad and Aliabad. In Upper Hunza, you’ll find good lodging facilities in Gulmit, Passu and Sost. Most of these hotels also offer pick and drop services, restaurant facilities and information about the local landmarks. If you want to explore the local areas, don’t forget to ask the hotel staff to arrange a local guide for you. 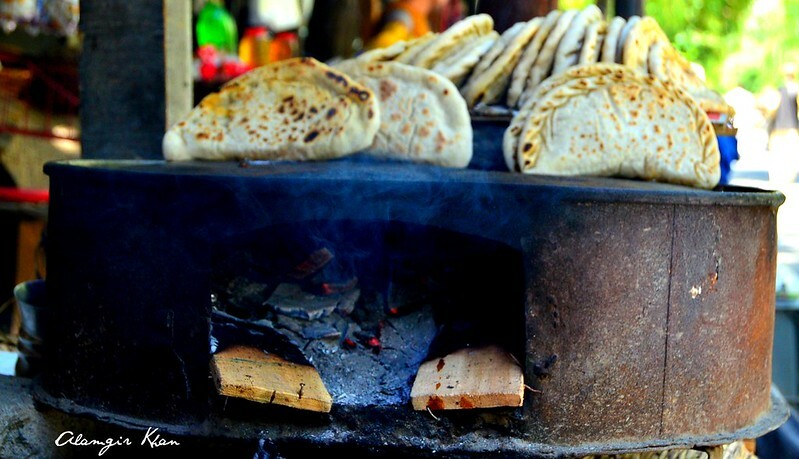 Hunza is popular for its traditional cuisines, which are available at selected restaurants in Central Hunza and at a few hotels in Upper Hunza. However, this doesn’t mean that you won’t get the chance to consume your favorite Pakistani dishes. Restaurant chefs in Hunza are also well versed in preparing Pakistani and Chinese dishes. In Central Hunza, you’ll come across abundant hotels to give your taste buds a treat. However, in Upper Hunza you’ll have to eat at restaurants owned by the hotels where you may lodge. People have now realized the opportunity and are in the process of starting restaurants in Gulmit and Sost, though. The Khunjerab Pass and Khunjerab National Park are yet additional reasons why you should visit the Hunza Valley. 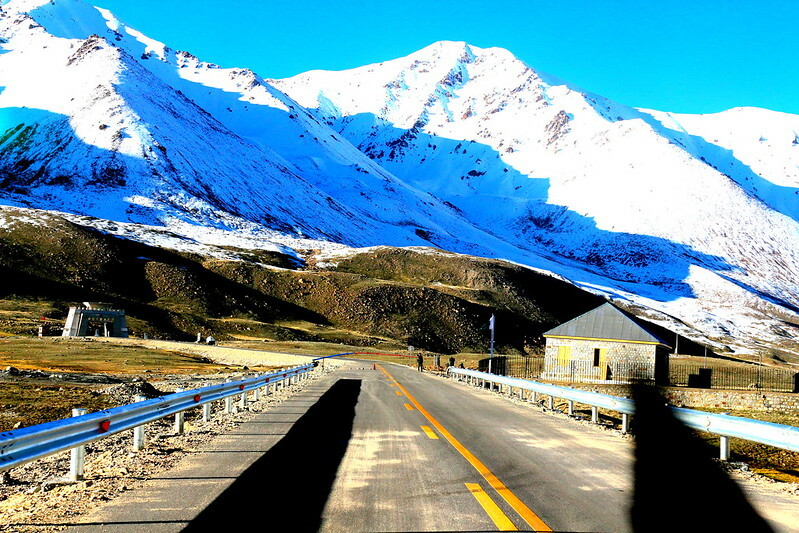 Khunjerab Pass is situated at an elevation of 15,397 feet above sea level, making it one of the highest mountain passes in the Karakoram Mountains, and in Pakistan. And of course it is Khunjerab where Pakistan meets its brother China. The government has declared Khunjerab and its surrounding areas as a national park. The Khunjerb National Park boasts rich biodiversity. Wild animals like ibex, lynx, markhor, blue sheep, fox, wolf, chakor, snow leopard and brown and black bear are found in the Khunjerab National Park. If you were lucky, you’d spot an ibex or maybe a snow leopard in the park. Upper Hunza, famous as Gojal Valley, is famous for its lakes. Who doesn’t know about the Attabad Lake? Yes, the famous lake is situated in Gojal Valley. The lake was formed as a result of a massive landslide in 2010 that blocked the water flow in the Hunza River, creating the Attabad Lake, which now happens to be a very famous tourist landmark and picnic spot. The Attabad Lake is a great place for boating-lovers. And then there is the famous Borit Lake, nestling beautifully on an elevated place above the KKH called Borit village. The lake is a hot spot for migratory birds (especially Siberian ducks), and a good opportunity for you to put your swimming skills to the test. Hunza is the valley of forts. Baltit Fort and Alitit Fort are the most famous forts of Hunza. 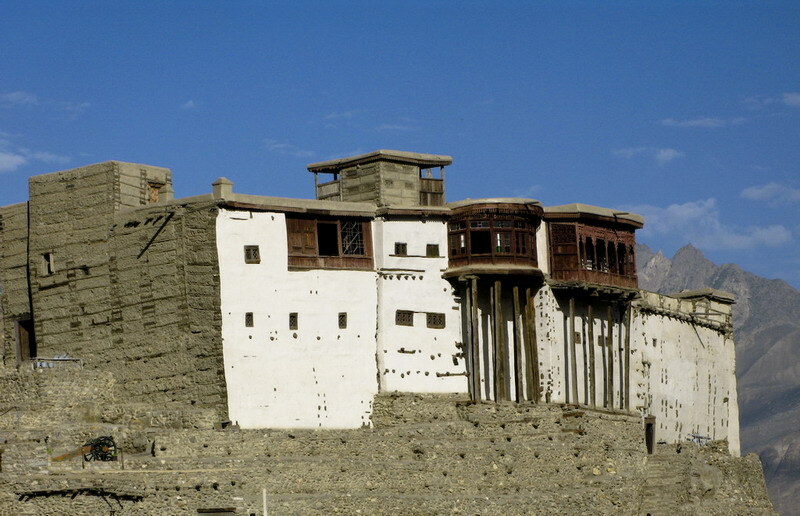 The 700 years old Baltit Fort was established in the 1st CE by then ruler of Hunza to defend his monarch from then ruler of the neighboring Nagar Valley. The fort has been perfectly preserved, and has been listed on the UNESCO World Heritage Tentative list since 2004. Altit Fort is famous for its architectural design. Standing high on a sheer rock-cliff, Altit Fort had remained home to the hereditary rulers of the former Hunza state for centuries. The fort is 1,100 years old. There is also a third, lesser-known fort in the Hunza Valley that goes by the name of Ondra Fort. It is situated in Gulmit (Gojal Valley). Though the fort is not very famous and has not been very well preserved, but the remains of the fort symbolize some interesting fables and legends. What’s more interesting is that you’ll get a bird’s-eye view of the entire area from Ondra Fort because it is situated on a very high hill. You’d love the striking views of the Attabad Lake from Ondra Fort. If you have not been to Duikar, you’ve not seen Hunza. Situated about 2800m above sea level, Duikar has lately turned into a famous landmark in the Hunza Valley. It is said to be the highest village in area. It takes about 25 minutes to reach Duikar from Karimabad by jeep. From Duikar, you can get magnificent views of the Hunza River and the winding ribbon of the Karakoram Highway. Other treats include epic views of the Rakaposhi and the Golden Peak. But Duikar is more famous for something else! Guess what? Well, people from across the world visit Duikar just to enjoy the magnificent sunrise and sunset views. The Ultar Meadow is yet another treat nearby. Hunza is an agricultural society and the fruits in Hunza are the actual jewels of the beautiful valley. As you approach the valley, you’ll see huge fruit orchards. Apricot is at the head of the Hunza Valley fruits. During the summer season, you can see that apricot has been laid on the roofs of almost all houses in the region, so they can be dried for use during the winters. Other popular fruits found in Hunza include cherry, apple, berry, grapes, peach, pear and what not. The valley is also highly popular for its delectable dry fruits and nuts. The climate in Hunza is moderate during summers. The temperature in July-August reaches a maximum of 31 °C in Central Hunza. If you are looking for a much temperate summer climate during your holidays, spend more time in Gojal Valley (Upper Hunza) because it remains much cooler even in summers. Inaugurated in 2015, the Pak-China Friendship Tunnels connect Gojal Valley with Central Hunza. These regions remained disconnected for more than five years as a result of destruction of the KKH by the 2010 Attabad landslide. The tunnels were specially constructed to bypass the Attabad Lake. Until recently, people used to travel to and fro Gojal via boats. The series of 5 tunnels (7 kilometers long) have now turned into a landmark for tourists. Traveling through the tunnels is not a lesser adventure. 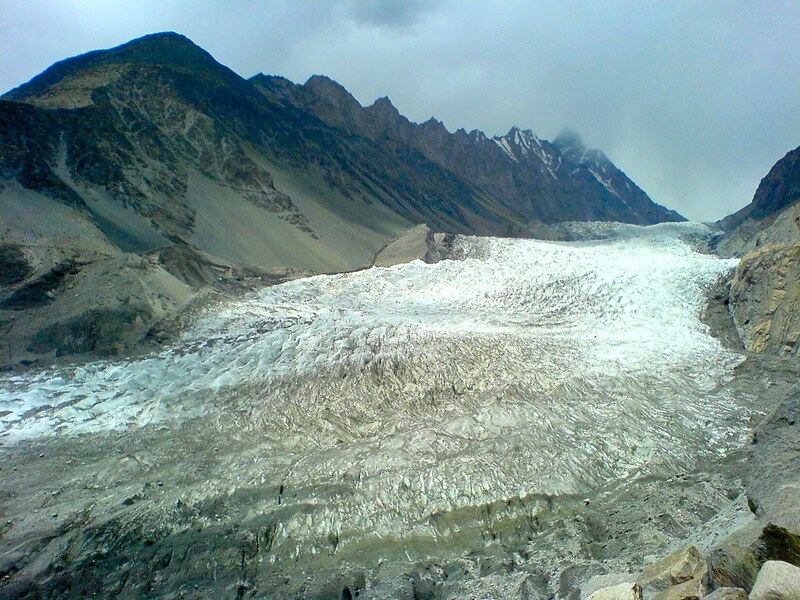 Some of Pakistan’s most famous and long glaciers are found in the Hunza Valley. The popular glaciers in Hunza include the famous Batura Glacier, Hussaini/Ghulkin Glacier and Passu Glacier. All of these glaciers are situated in Gojal Valley. These glaciers continue to feed the Hunza River, though climate change has expedited the rate at which they are melting, creating fear among the people that their sources of water would be disappear one day. Anyways, the glaciers in Upper Hunza attract thousands of domestic and international tourists every year. Opportunities for trekking are immense in the Hunza Valley. If you want to see some of the very rare wild animals, you can find them in the Hunza Valley. The Khunjerab National Park is famous for harboring ibex, markhor, Marcopolo sheep, urial, snow leopard, Tibetan red fox, wolf, RAM chakor, black and brown bears, lynx, dhole, migratory hamster, vultures, Raven, Golden eagle and a large number of other wild animals and birds. So, what have you decided? Want more reasons to visit the Hunza Valley? There’re countless. Go explore them. Contact us now to arrange your tour to the Hunza Valley.